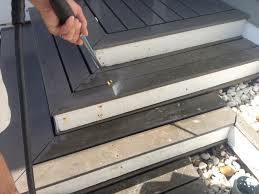 Sweep and hose down your decking occasionally to remove dust and sand. Use a hard bristled broom, soapy water or a good quality decking wash.
A high pressure hose down once a month is great for more stubborn dirt, leaves and twigs. Try clean up spills as soon as they occur to prevent permanent stains. 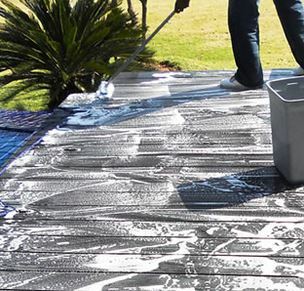 To prevent scratches and marks on your decking, place adhesive floor protectors beneath the legs of your outdoor furniture. Make sure you lift your outdoor furniture rather than drag it. 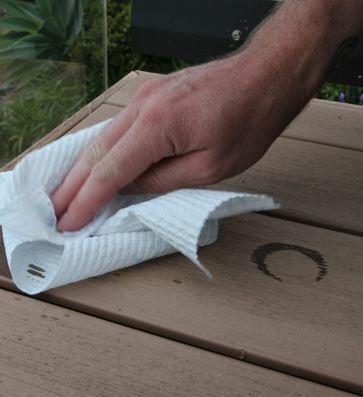 Place a mat around your braai / barbecue area to prevent any fatty marks landing on your decking.